Grade separation is a method developed to avoid the disruption of traffic flow at intersections. Grade separation is adopted at junctions where two or more surface transport axes cross with each other. Different types of grade separation structures, advantages and disadvantages of grade separation are discussed below. Grade separation is generally achieved by my means of a vertical level. For example, if two roads are intersecting at one point on a ground level, then grade separation is achieved by raising or lowering the profile of one of the roads with respect to ground level. So, the traffic from both roads will never meet and safety aspect stays intact. 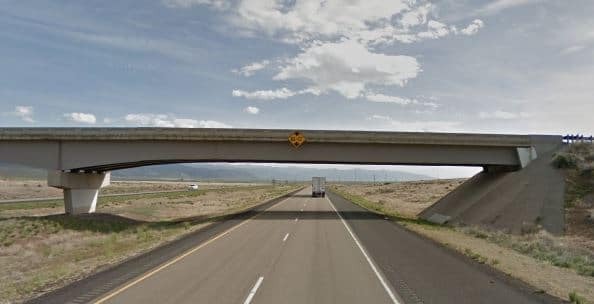 When the vertical profile of one highway is raised with the help of embankments and over-bridge arrangement to eliminate intersection with another highway on ground level, then it is said to be overpass. 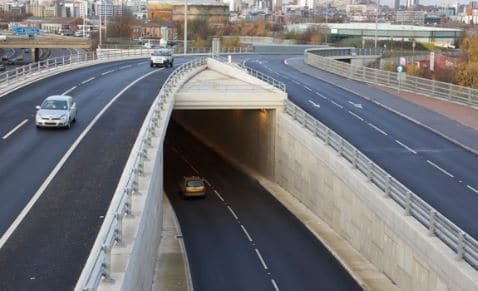 Similarly, when the vertical profile of one highway is lowered with respect to ground level in the form of tunnel to avoid intersection with another highway then it is said to be underpass. Grade separation eliminates intersection of traffic flow at junctions but it is incomplete without provision for interchanges. 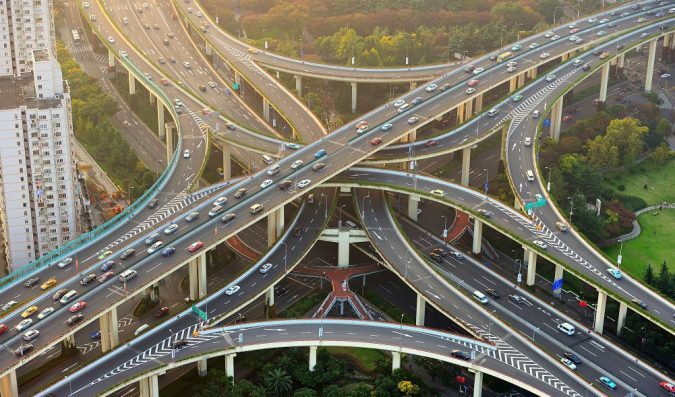 Interchanges facilitates the change of direction of traffic from one highway to another highway at intersections. In the case of direct interchange, the vehicle is diverged into the right side and merged from the right while in case of semi-direct interchange, the vehicle is diverged to its left side and merged from right. In case of indirect interchange, vehicle is diverged to its left and merged from left. All these three are shown in image below. Diamond interchanges are used where two highways cross with each other. It contains 4 legs of direct interchange ramps in 4 quadrants of the junctions as shown in the image below. Trumpet interchanges are constructed where one highway terminates at another highway as shown in the figure. 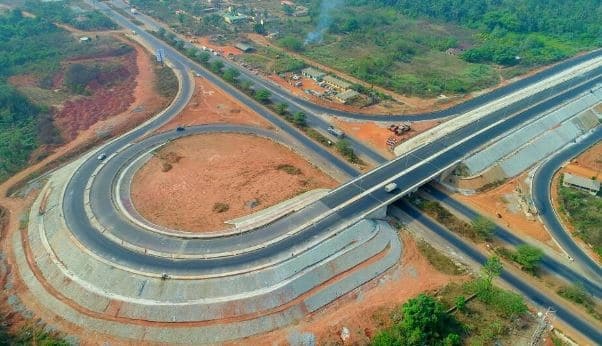 It contains three legs at the end, two of them are direct interchange ramps and another one is loop ramp which is a combination of semi-direct and indirect interchange ramps. 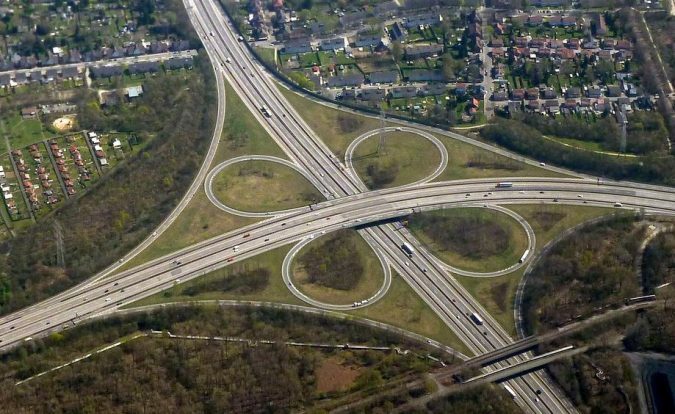 This is also called as a three-leg interchange. Cloverleaf interchanges contain 4–legs and eight ramps. 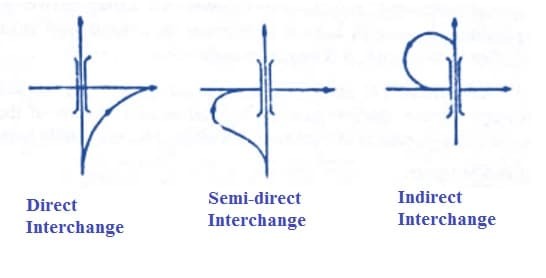 In each quadrant, one direct interchange ramp and one indirect interchange ramp is provided as shown in the figure. This type of interchange fulfills all the requirements for complete separation of traffic. 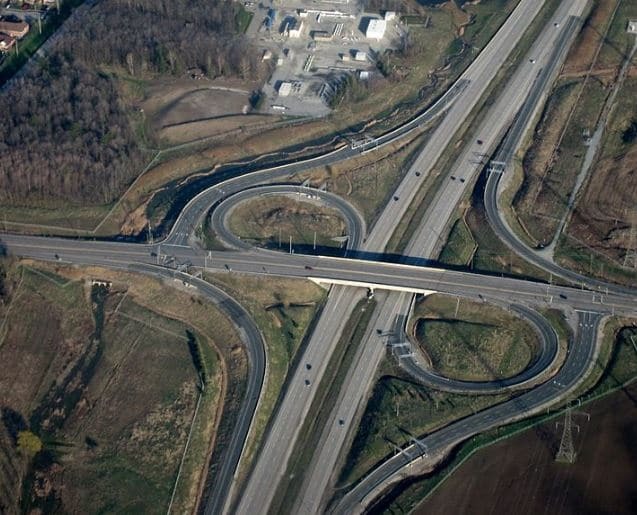 Cloverleaf interchanges are used at intersections where two major highways cross each other. Partial cloverleaf interchange is the modification of cloverleaf interchange. It also contains 4 legs but with fewer loop ramps than cloverleaf interchange as shown below. 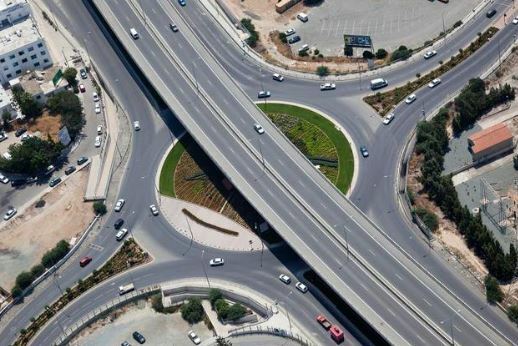 Rotary interchange is provided at circular junctions where traffic is permitted to flow in one direction around Central Island and one road axis is raised above the rotary intersection to allow grade separation. Stack interchange also called as directional or free flow interchange, which contains multiple levels of grade separations as shown in the figure. Grade separation eliminates the stopping of vehicles while crossing the roads. It provides safety and reduces the risk of accidents. Speed-limits for grade-separated roads are generally higher hence, high speeds can be maintained at intersections which results in saving of travel time. Grade separation can be provide for all likely angles of any two intersecting roads. Grade separation and interchange construction require a lot of money and land. Construction and design of grade separations and interchanges is complicated and requires skilled professionals. 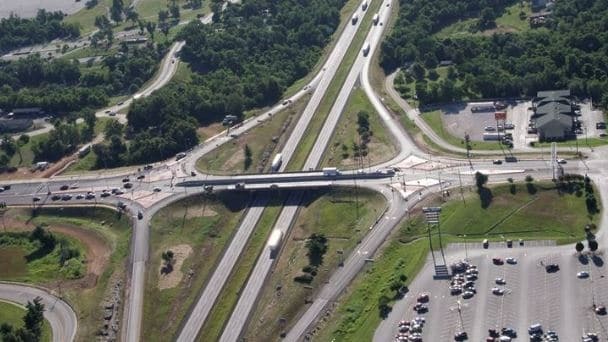 Cloverleaf, stack interchange types may tender confusion for road users while interchanging roads. Hence, the driver should know the direction of each interchange ramp.